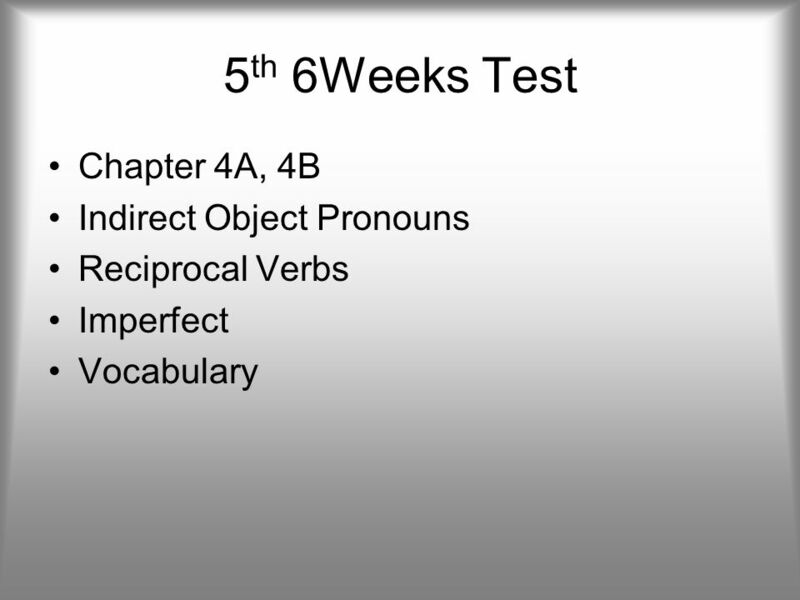 5th 6 Weeks Test Review Spanish 2. 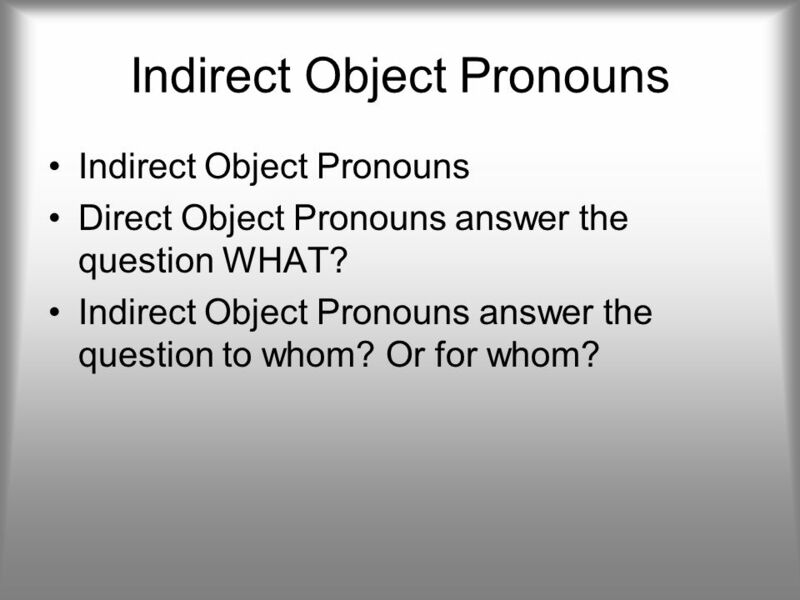 Direct Object Pronouns answer the question WHAT? 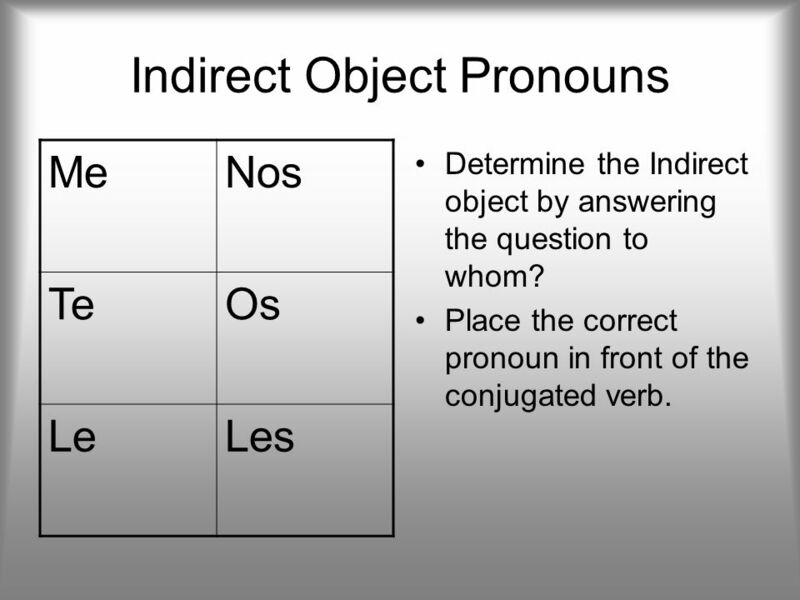 Indirect Object Pronouns answer the question to whom? Or for whom? Me Nos Te Os Le Les Determine the Indirect object by answering the question to whom? 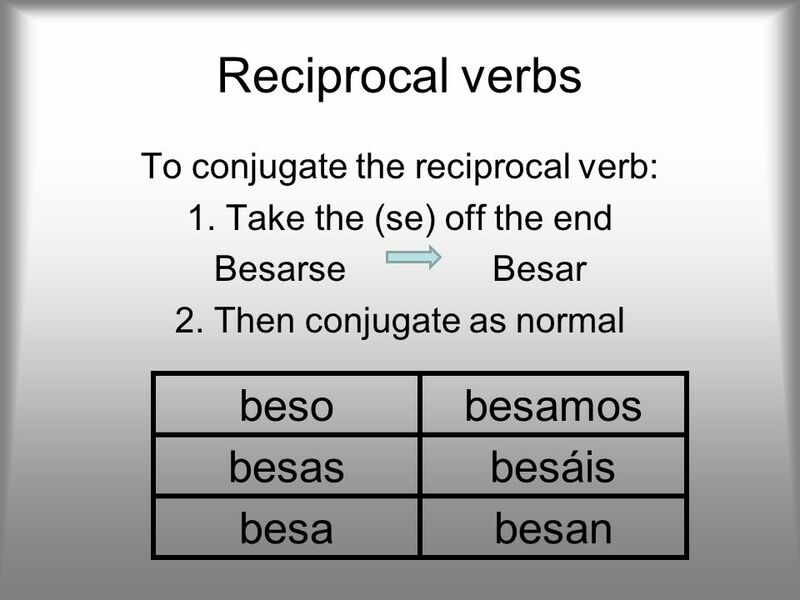 Place the correct pronoun in front of the conjugated verb. 7 3. 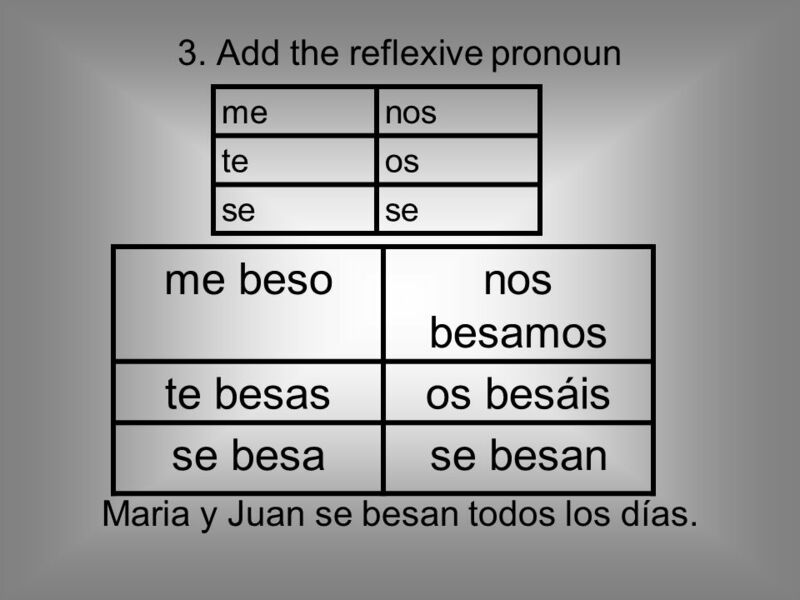 Add the reflexive pronoun Maria y Juan se besan todos los días. 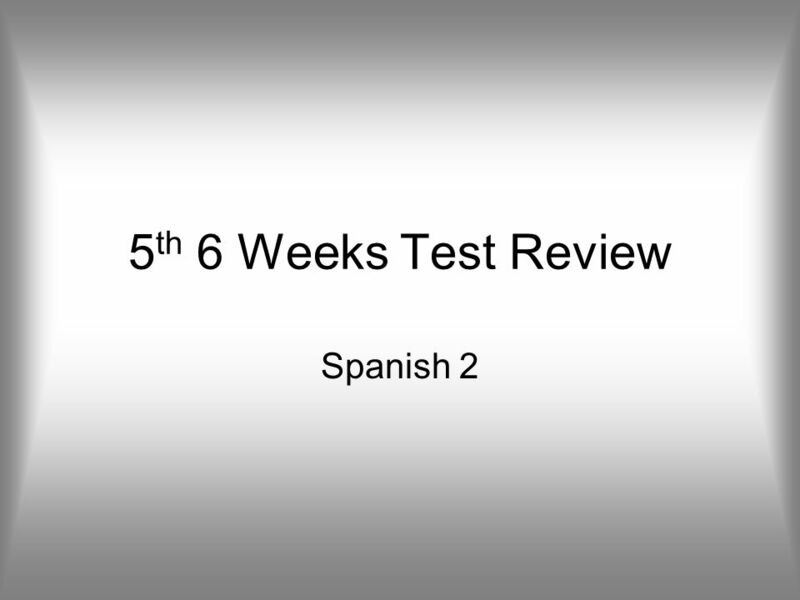 Download ppt "5th 6 Weeks Test Review Spanish 2." Los verbos reflexivos Objective: To talk about your daily routine. 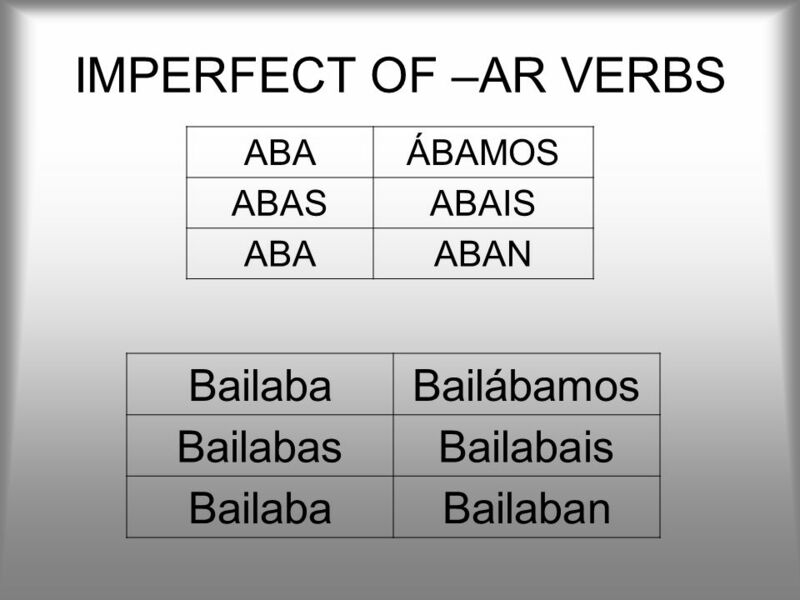 You will now learn the imperfect, which describes past activities in a different way. Copyright © 2008 Vista Higher Learning. All rights reserved. 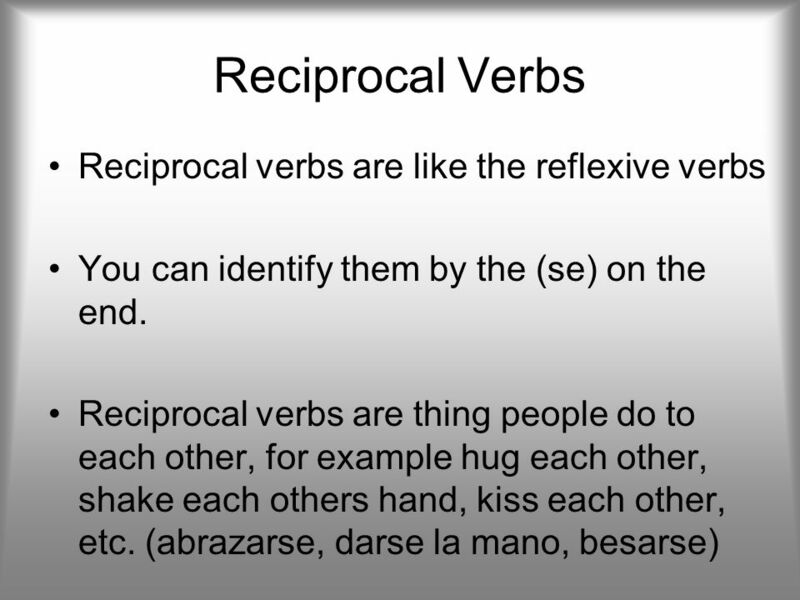 Reciprocal Actions Español 2 Capítulo 6 Página 213. The letters r and rr Except at the beginning of a word or after l or n, the sound of the letter r is made as you raise the tip of your tongue and tap the. Pronouns. In Spanish... F There are three kinds of pronouns that receive the action of a verb: –Direct Object Pronouns –Indirect Object Pronouns –Reflexive. Cómo contestar preguntas: ¿Qué + hacer ? 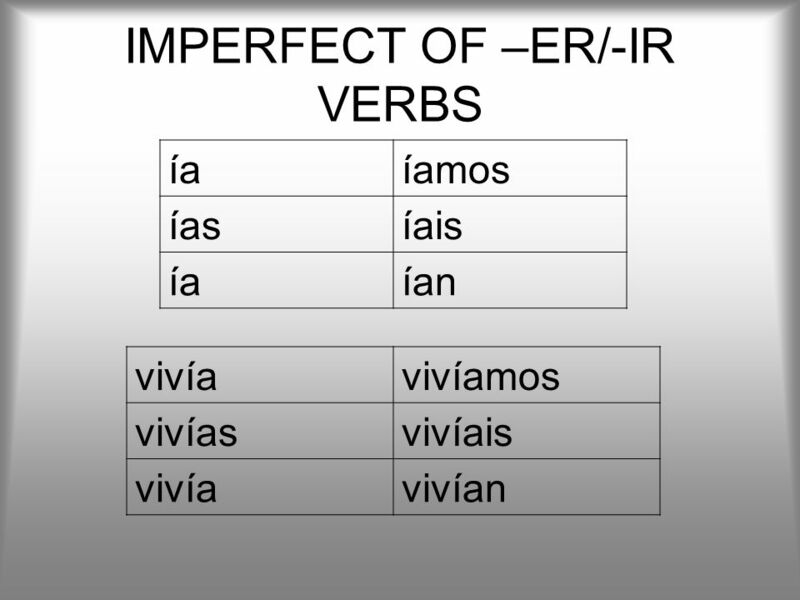 Objetivos I can conjugate a verb in the imperfect tense I can use the imperfect tense to talk about an event that took place over a period of time or used. Gustar w/ Infinitives. 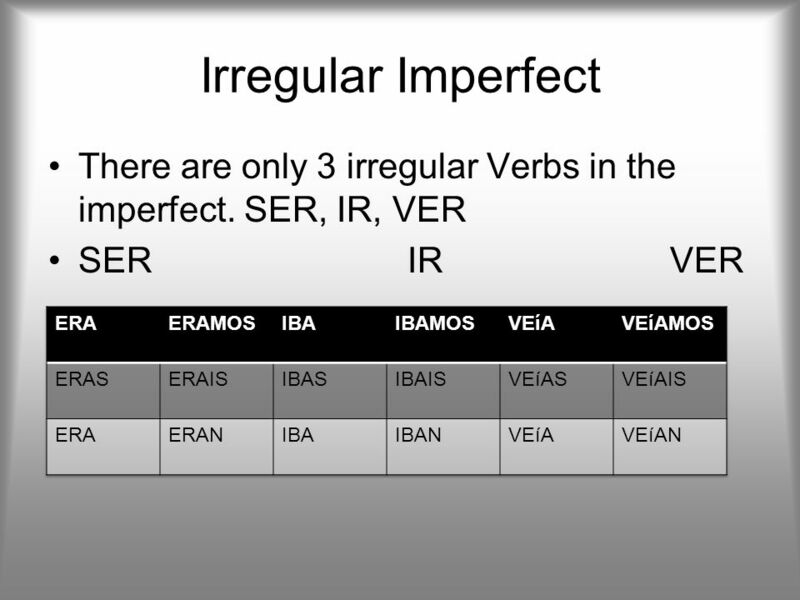 Gustar w/ infinitives Last year, we used gustar to state what you like… – Me gusta la pizza. – Me gustan los videojuegos. We will. Copyright © 2008 Vista Higher Learning. All rights reserved You will now learn the imperfect, which describes past activities in a different way. 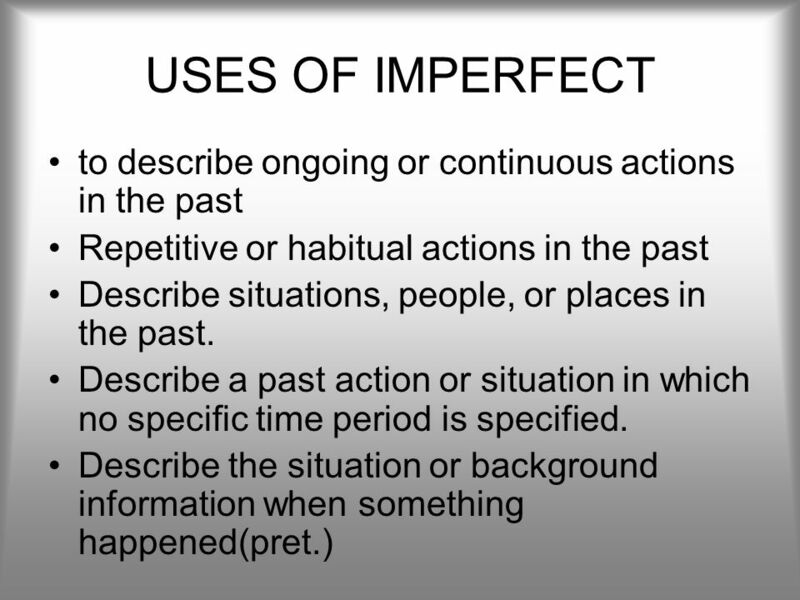 Preterit and Imperfect We need both of these verbs to do a good job of telling what happened in the past. The preterit tells us what actually took place.